STEM THEMES: All. Women in STEM. 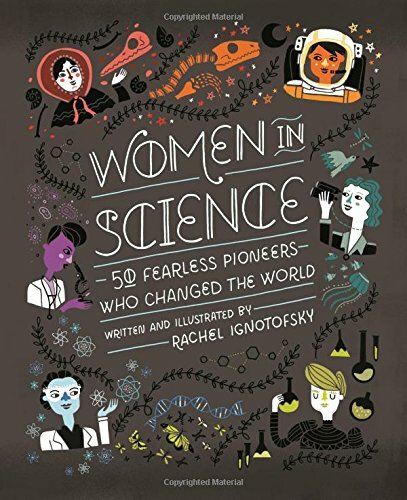 OVERVIEW: Beautifully illustrated, this book profiles some of the many women working in STEM careers. A inspiring starting point for further research. DESCRIPTION FROM THE PUBLISHER: A gloriously illustrated celebration of trailblazing women. Women in Science highlights the contributions of fifty notable women to the STEM fields of science, technology, engineering and mathematics, from both the ancient and modern worlds. The book also contains fascinating infographics and an illustrated scientific glossary.